Guest Post By Blue Sky Science at the Speaking of Research site. Originally posted here and cross-posted with permission. Respiratory syncytial virus (RSV) affects almost two-thirds of babies in their first year of life, and is a leading cause of bronchiolitis and severe respiratory disease in infants, young children, immunocompromised individuals, and the elderly throughout the world. It is a major cause of hospital admission for infants, and results in up to 200,000 deaths per year in children under the age of 5 years worldwide. Development of an effective vaccine is a public health priority, but has proven difficult, in part due to fact that RSV infection cannot be easily studied in the standard mouse and rat species that are most commonly used in laboratory research. Oxford University researchers have announced the successful completion of the first trial of a vaccine against RSV in adult humans, which indicated that the vaccine was safe and could induce a robust immune response (though this Phase 1 study did not evaluate its ability to protect against RSV). In two papers published back-to-back in the journal Science Translational Medicine this week, the University of Oxford team and their colleagues at The Pirbright Institute and the Italian biotechnology firm Okairos (now Reithera Srl) report on the successful Phase 1 clinical trial in adult human volunteers, and the animal studies that led to the trial (1,2). The basis for their vaccine was a vector derived from the chimpanzee adenovirus PanAd3, which was modified to express several highly conserved human RSV (HRSV) proteins, which they had shown could provide a good level of protection against RSV infection in cotton rats, which are one of the less commonly used laboratory animals, but a very useful model of viral infection of the respiratory system. As we discussed in an earlier post on the development of gene therapy for Hemophilia B, choosing the right adenoviral vector for the task is critical, and the chimpanzee adenovirus was chosen because there is no preexisting immunity to it in the human population that would compromise its effectiveness as a vaccine vector. Because studies with other virus-vectored vaccines had shown that heterologous prime/boost with Chimpanzee adenovirus based vector followed several weeks later by a modified vaccinia Ankara (MVA) – a vector used in several experimental vaccines, including HIV vaccines – generates a stronger immune response than with chimpanzee adenoviral vector alone, the researchers next examined this strategy in cotton rats, demonstrating that intranasal prime/boost immunization was effective in protecting against infection, and did not lead to adverse effects. 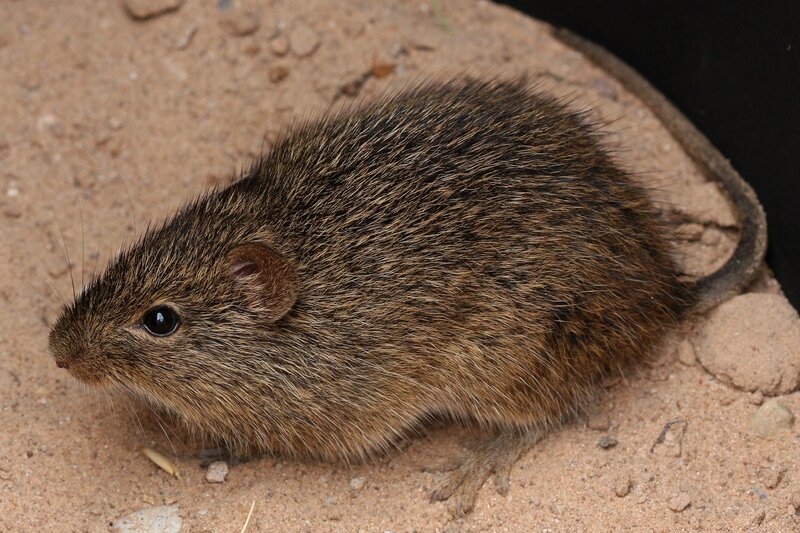 While the cotton rat is a valuable model for the study of respiratory infections, it does not demonstrate all the clinical features of RSV infection, and the extent to which vaccine efficacy in the cotton rat model of HRSV can predict efficacy in humans is unclear. The scientists therefor evaluated the prime/boost vaccine in a more stringent model, calves, which are the natural hosts of the bovine form of RSV – called bovine RSV (BRSV). The disease course and epidemiology of BRSV infection in calves is very similar to that of HRSV in children, and the very high degree of similarity in sequences of the BRSV proteins to their HRSV equivalents used to develop the vaccine suggested that the calf would be a valuable preclinical animal model to evaluate the safety and efficacy of their prime/boost vaccine strategies (2). In developing this approach toward an RSV vaccine in humans, homologous and heterologous combinations of PanAd3-RSV, including IN vaccination route, and MVA-RSV were tested in preclinical models. The genetic vaccines elicited RSV-specific neutralizing antibodies and T cell immunity in nonhuman primates and protective efficacy in challenge experiments in rodents with human RSV and in young seronegative calves with bovine RSV (32, 33). Of critical importance in both rodent and bovine challenge models was the absence of immunopathology associated with ERD after vaccination, with the calf model acting as a translational model for the development of a vaccine for the pediatric population. All regimens fully protected the lower respiratory tract from bovine RSV infection in the calf, and heterologous combinations resulted in sterilizing immunity in both upper and lower respiratory tracts (33). Both components of the vaccine were found to be safe and to create an immune response.